The need for a new Regional Performance Centre for Sport (RPCS) in Tayside and Fife was highlighted by Sportscotland in their National & Regional Sports Facilities Strategy (NRSFS) 2003 and in the National & Regional Sports Facility investment strand October 2013. The sports identified at that time as gaps in Tayside and Fife provision at a Regional level were Athletics, Football and Rugby. The brief for the facility builds around the existing velodrome and Ronnie McIntosh athletics stadium and existing grass football pitches at Caird Park. 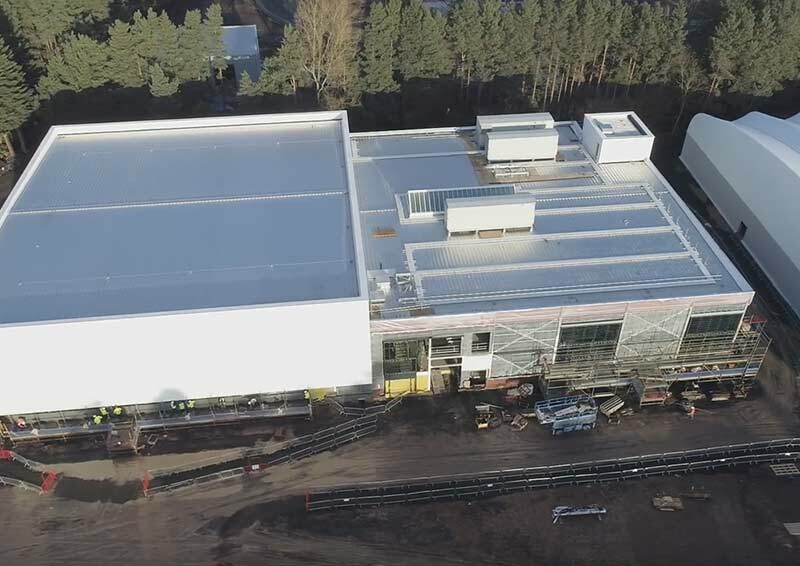 The brief adds a full size 3G indoor football pitch, an outdoor 3G football and rugby pitch, a grass football pitch, an indoor athletics training hall, a multi-sports hall and a hub building containing additional accommodation together with all the support functions for the centre. Further enhancements are identified to bring the athletics track and velodrome to competition standard. Dundee City Council are the client, designer and building owner for the project. Balfour Beatty are the main contractor and presenter for the evening.